After chronicling local efforts of shipping container architects like Peter DeMaria, let's head to West Coast Green, currently being held at the San Jose convention center, because Inhabitat has posted a whole Flickr set of photos of the latest in shipping container design aka the Harbinger House. 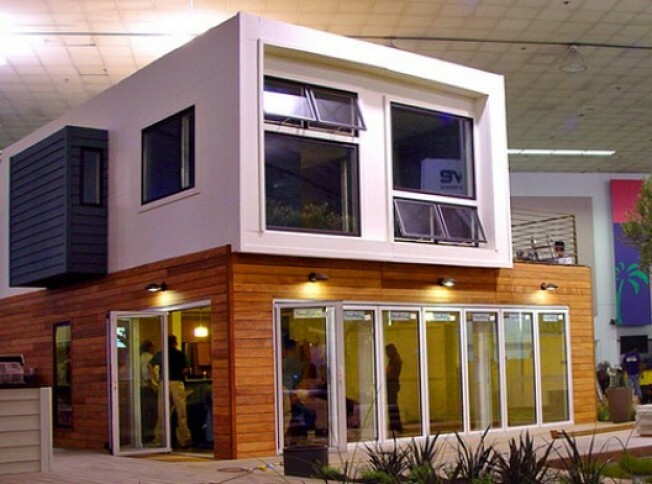 Designed by Lawrence Group and developed by SG Block Shipping Container House, the home cost about $150 per square foot to build, was fabricated in a month and assembled on-site in under five hours. No word on size, but it's built out of five shipping containers. And this one is looking a tad more handsome than that recent shipping container hotel.